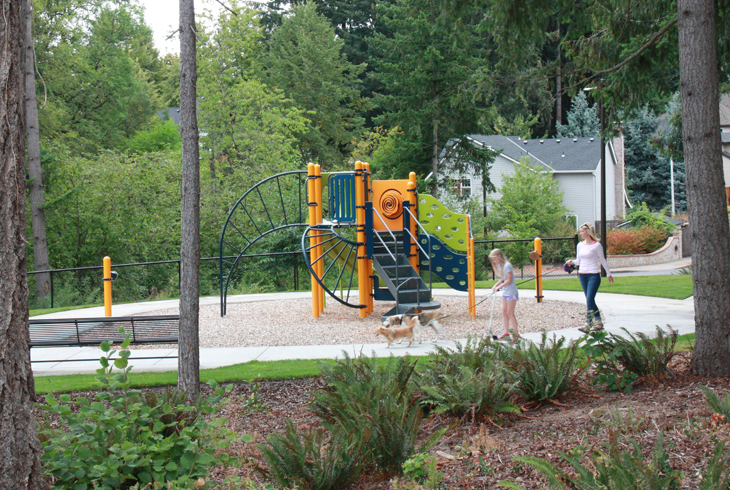 Tucked into a residential Murrayhill neighborhood in South Beaverton, this 1.2-acre park is located just east of SW Murray Blvd at SW Weir Rd. 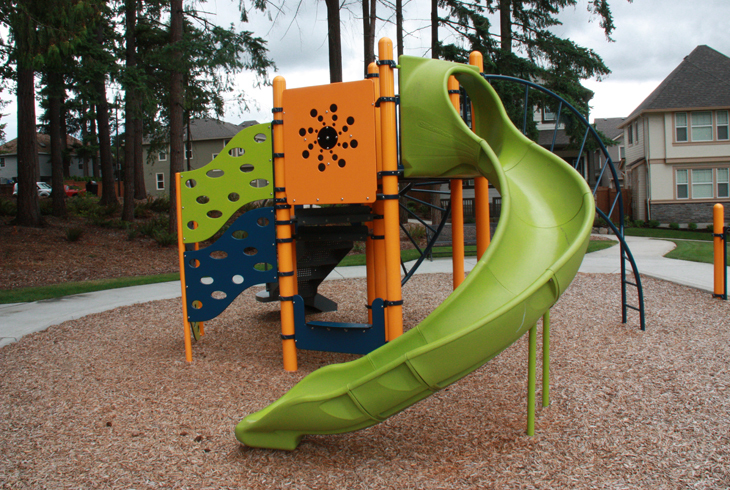 It’s located about a mile west of Conestoga Recreation & Aquatic Center, just north of the Progress Ridge retail district on SW Scholls Ferry Rd. 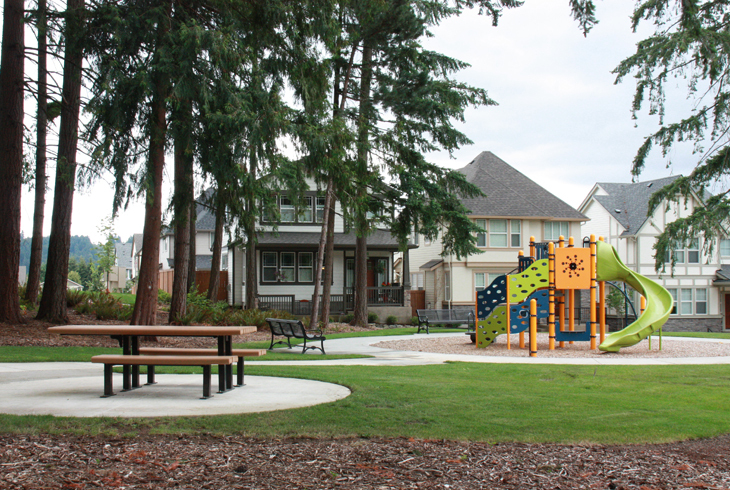 The property was acquired from a developer in 2014, in partnership with the City of Beaverton. Its horse-themed name is consistent with street names in the area (Buckskin Park & Wildhorse Park, too!). 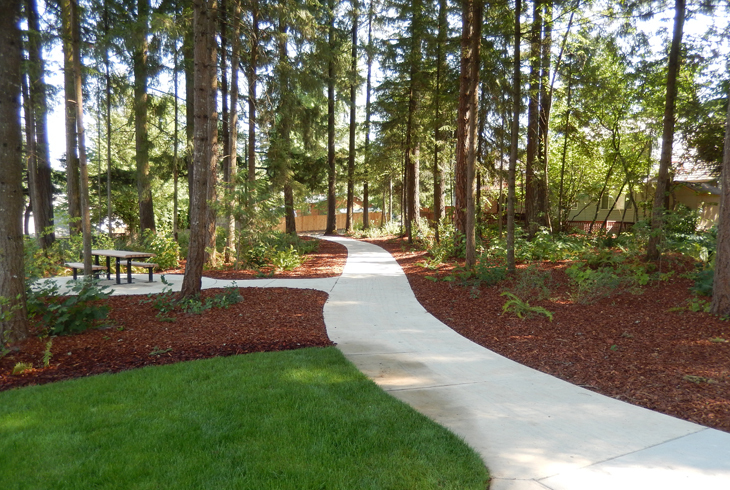 The paved trail intersects a mature wooded area with two picnic tables, providing the perfect setting for a serene lunch getaway. 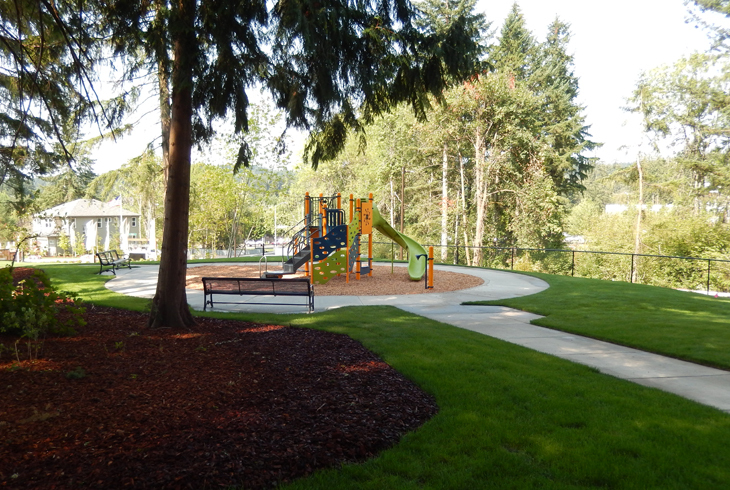 The path continues to a small lawn and a play equipment structure.